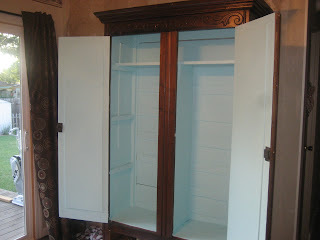 This looks great, tricia!!! 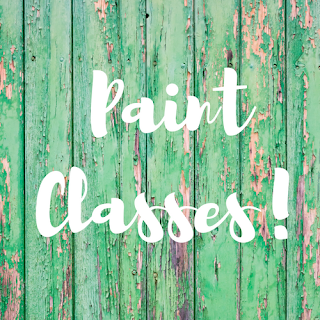 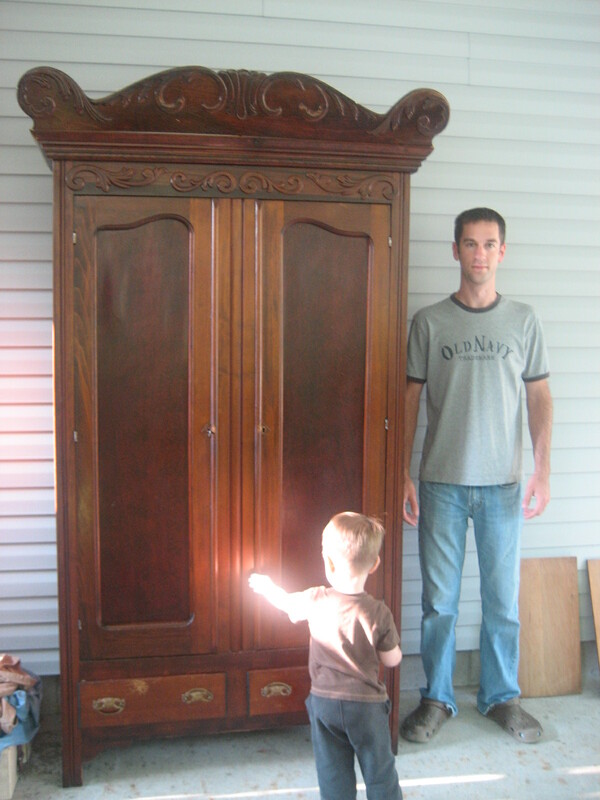 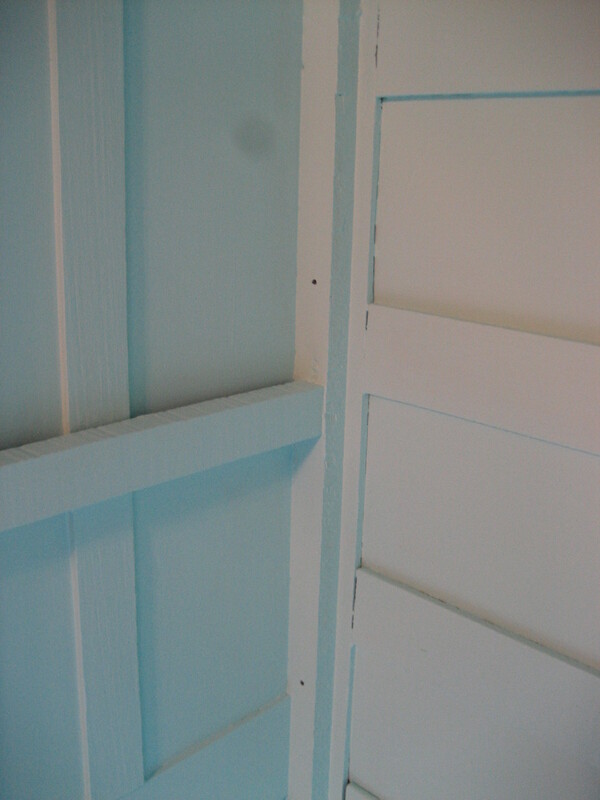 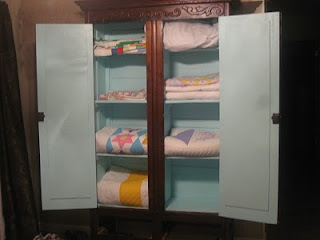 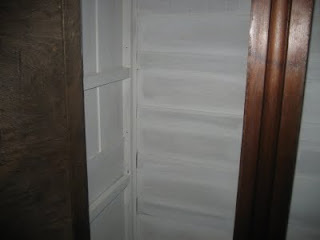 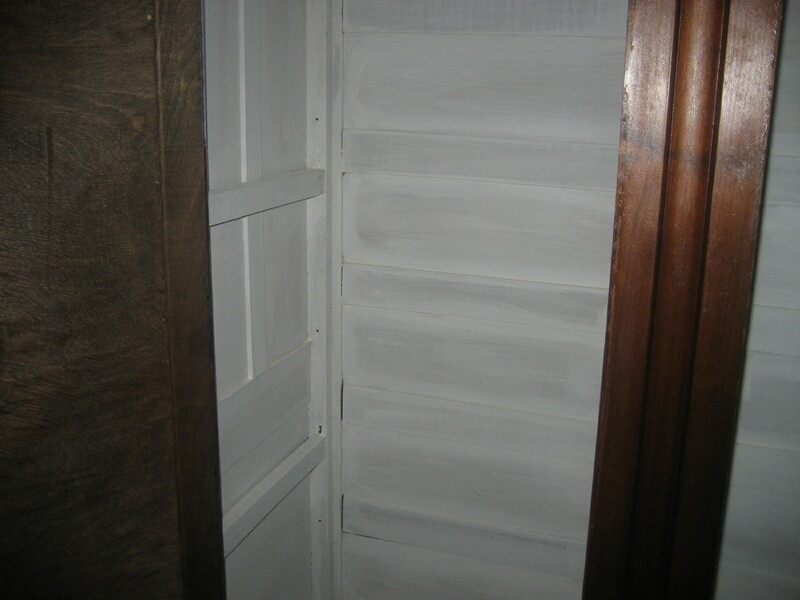 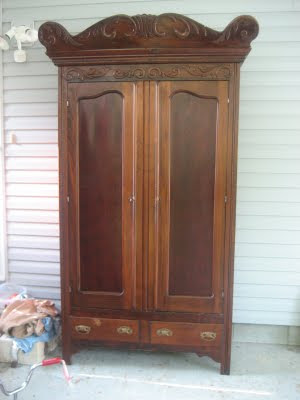 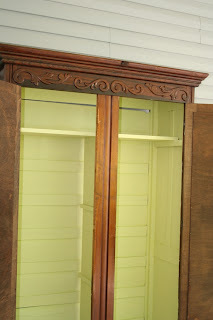 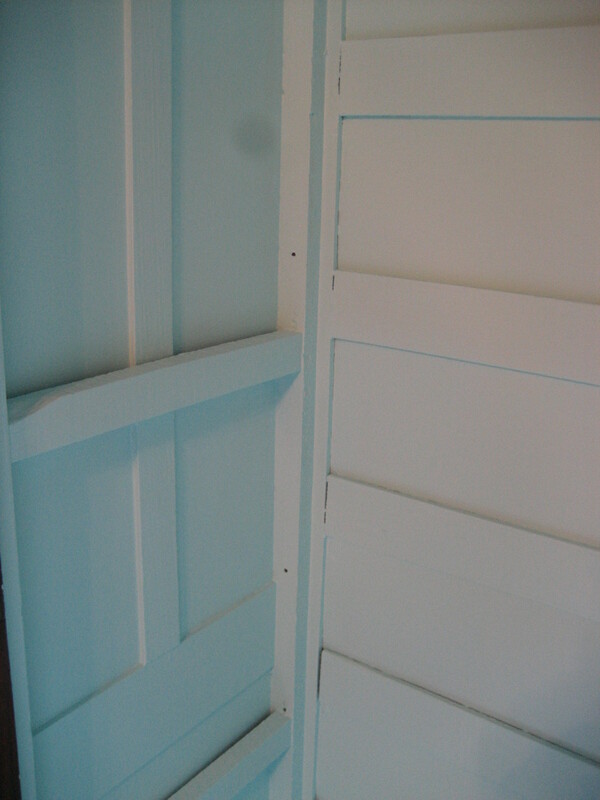 Have you thought about just leaving the armoire unpainted on the outside? 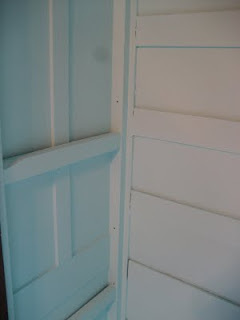 I actually like that its wood and then when you open it...Bam, color! 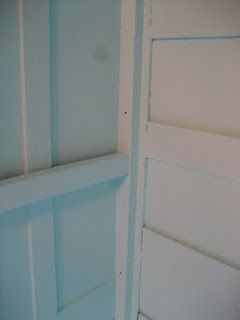 You did a really good job and I actually like both colors!